You’re finally going to do something about those red stains in your shower. Tips to consider BEFORE the installation. Here in Wake County, especially in the southern part of the county where I live and where most of my general real estate brokerage is done, it is common to have a private well for your homes primary water source. As a result of the solid composition, most of the wells have high levels of both iron and PH. It is this former that causes the inevitable red stains on the shower and other plumbing fixtures. Then there’s the clay that clogs just about every plumbing fixture that it comes in contact with. 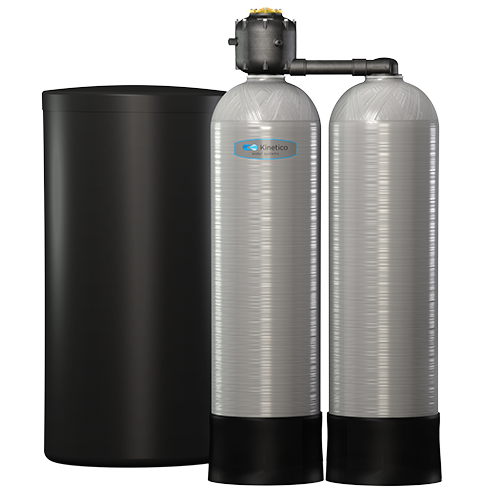 When we purchased our home in 2016, the previous homeowner had a Kenmore branded electric water softener but it wasn’t functioning. The board had failed and we were told that to repair it would cost half of what a new model would. If your homes waste water is on an individual septic system, DO NOT let installer route the regeneration waste line into your septic tank. he volume of water can be significant and if you have a malfunction in the system like mine did (caused by a frog who got into my water line when my pump was replaced) it could have the effect of a contact running toilet which can cause irreparable damage to your septic drain field . Instead, ask the installed to run the line somewhere else. In my case, I was able to port it into a wooded area on my lot. Have the installer wrap the supply lines with insulation and install sweat jackets on the tanks. The water coming out of a well 100 feet below the earths surface is very cold and when the system regenerates it pulls a large volume of water out of the ground thus causing quite a bit of condensation in the summer months when it comes in contact with the warm humid air in North Carolina. That condensation will cause mold to form on the floor joists, something you do not want to allow to go unchecked! Finally – set a monthly reminder on your calendar to check the salt levels. Without salt, the system doesn’t function. I do mine on the first of each month (when I pay my mortgage) and I also change the air filters on my HVAC. February 2, 2019 in About Raleigh. 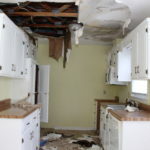 ← Under Contract & House Has Been Damaged; Now What?